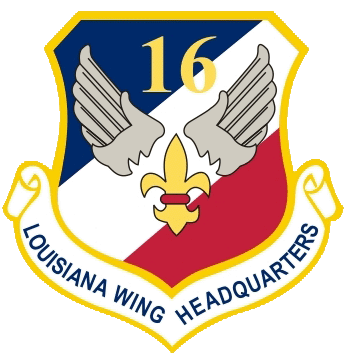 Welcome to the Louisiana Wing Cadet Programs website. If you are a current member, new to the program or are considering becoming a member, you will find this website very helpful. Several pages have been created to give as much information as we can in order to make your experience with the program an exciting time for you and your family. Louisiana Wing is a constantly growing wing with new programs and opportunities throughout the year. The program consist of cadets ages 12 through 18 and senior members (adults), Together the program offers a wide variety of opportunities for Cadets to include, orientation flights, encampments, national cadet activities, scholarships, training in emergency services, community activities and more. It is my hope that your experience with our program will be both fun and rewarding. Hopefully, this website is just a start to your new or continuing Civil Air Patrol career. If you would like additional information or would like to see a certain page added to this site; feel free to email the webmaster at any time.